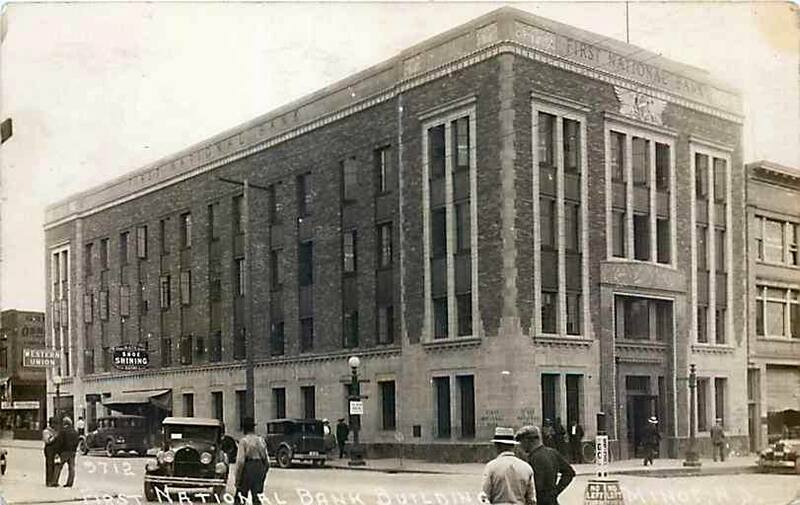 First National Bank –First National Bank has had a varied name history, beginning with Great Northern Bank in 1897, then long known as the Second National Bank (avoiding any connection with two previous First National Banks, which had failed amid considerable publicity and bad feelings), then finally as the First National Bank. The bank remained on the northwest corner of Main Street and Central Avenue for many years. 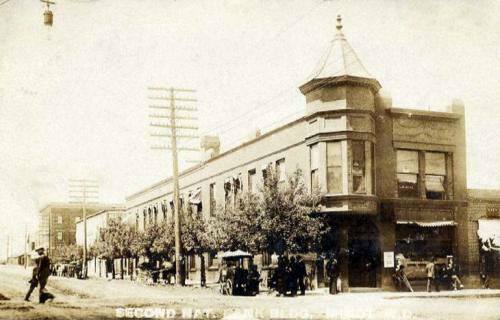 A new building was built on South Main. The new bank and parking lot now take up half the city block. The name changed to Norwest Bank and finally to Wells Fargo Bank.